Whether you're looking for the new Buick Regal, Encore, Enclave, or LaCrosse, you're in for an excellent driving experience. Buick is known for offering luxurious sedan and crossover vehicles for Lee's Summit-area drivers. With various models at different price points and features, you will find the Buick best suited for your driving needs and budget. Browse our Buick inventory below, then stop by Cable Dahmer Auto Group to test drive your favorite vehicle. Buick is a top-rated automotive brand highly praised by industry experts and drivers alike. In addition, Buick has won the Kelley Blue Book Best Value Luxury Brand Award. If you're looking for affordability with your next purchase, you won't have trouble finding the car or SUV that meets your needs without going over your budget at Cable Dahmer Auto Group. Are you ready to get behind the wheel of a top-rated luxury vehicle? 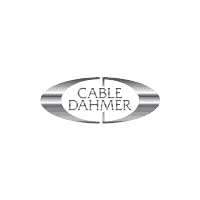 If you answered yes, it's time to visit Cable Dahmer Auto Group. We'll explore our Buick model lineup, go over standard and available features, and discuss your financing options. While you're browsing our website, you can start the application process and get an estimate on your monthly payments with our payment calculator. You can expect the highest quality of customer service at our trusted Kansas City dealership. Have questions in the meantime? Contact us today! Don't forget to ask about our current vehicle specials so you can drive home to Blue Springs in your dream vehicle for less.